Tough day? Sulley can relate. Boy, can he ever! After a long night of scaring, he just needs to find a spot in his favorite recliner, spread out, and treat himself to a little bit of rest and recovery. Why, on days off, he spends the whole day watching his favorite movies in the living room. Maybe it’s time for you to unwind like Monsters Inc.’s hardest working monster. You know, kick back like a monster for an evening! First, it’s time to select a stack of your favorite movies. You can queue them up on your favorite streaming service, rent them at your local movie rental store, or select a bunch from your home collection. Second, you need to order some pizza. Pizza is always necessary for a movie marathon. Finally, you’re going to want to cozy up in your best fur. Wait, you don’t have fur? Well, then you’re going to need a brand new pair of furry pajamas, like these Sulley pajamas! 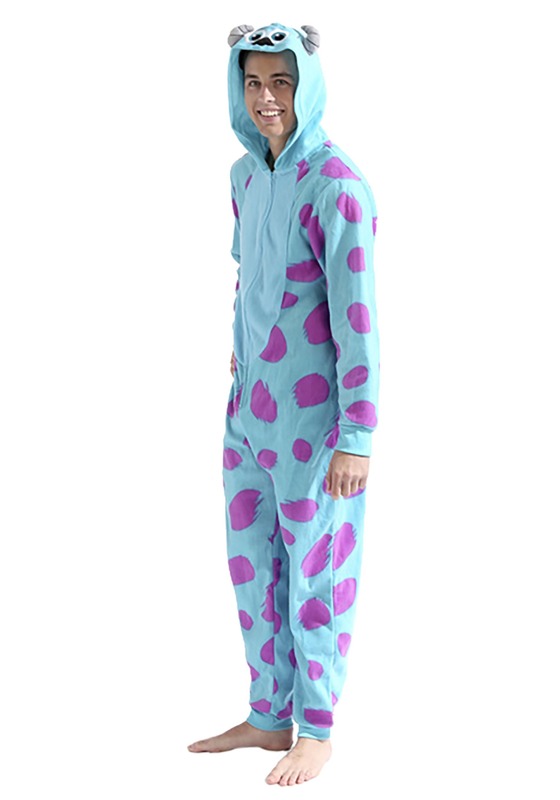 These Monsters Inc. Sulley Pajamas are an officially licensed set of pajamas designed to make you look like the legendary monster from the Disney Pixar movie. It comes with a bright blue jumpsuit that’s covered in plenty of soft fabric. It fits with a zipper in the front, making it easy to slip into after a long day of work! The hood is has a pair of big cartoonish eyes, a black nose, and a pair of plush horns to recreate Sulley’s look from the movie. Just wear this pajama costume, cuddle up on the couch, and grab a slice of pizza! It’s time to have the best session of R and R that you’ve ever had! You can also wear this Sulley costume to your next costume party, ensuring that your next shindig turns into a pajama party!